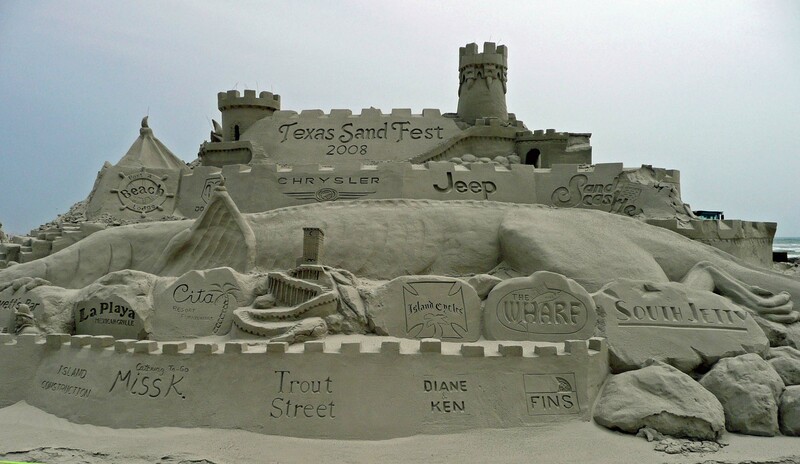 These are sand sculptures from the Port Aransas, TX Gulf Coast SandFest. A competition is held every year there in late April.. There are only two components to these sculptures; Sand and water. Wet sand is compacted in layers in wood forms. After compaction the forms are removed and the delicate art of sculpture begins.